If you are suffering from the dry skin under your beard, the problem can be as simple as the way you take care of your hair each day. The dryness and the flakes can affect guys who are just growing their beards to men who have enjoyed that full robust face of hair for years. It all comes down to treating the skin under your beard to eliminate the redness, itchiness, and flaking skin. Consider these simple tips for eliminating dry skin and getting back to ruling the world with your thick flowing beard. It is understood that nothing can feel better on that cold blustery day than taking a nice hot shower. The problem for guys growing beards is that the heat from the water robs the skin of natural oils. Although it might not make sense that water could actually dry out your skin, the truth is that you are causing that are too dry out, resulting in flakes and redness that will lead to that incessant itching. The simple solution here to reducing the chances of dry skin under beard issues, turn the hot water knob a few notches towards the cold water. This simple fix could reduce the dry skin and eliminate the problem in a few days. It is just a habit that guys will use the same bar of facial soap on their beards because they use it all over their body anyway. The truth here is that your face has undergone changes since growing the beard, and using a cheap bar of soap can dry out the skin under the beard and lead to flaking issues. You wouldn’t use that bar of soap on your hair, so stop using it to wash your beard. Start a new habit of using shampoo with moisturizer on your beard instead of the bar of soap. Your shampoo should contain essential vitamins usually contained in popular dandruff shampoos. These shampoos will moisturize the beard and skin below, eliminating your itch and reducing those flakes. Unlike running a towel over your head to dry your hair, your beard is coarse and retains more of that moisture for longer periods of time. If you are not properly taking the time to dry that beard, the excess moisture can become problematic tow the skin underneath. If your water contains excess minerals, they too can lead to issues with your skin when left in contact too long. Take the time to run the hair dryer over the beard while using your fingers to ensure the warm air dries all that moisture. 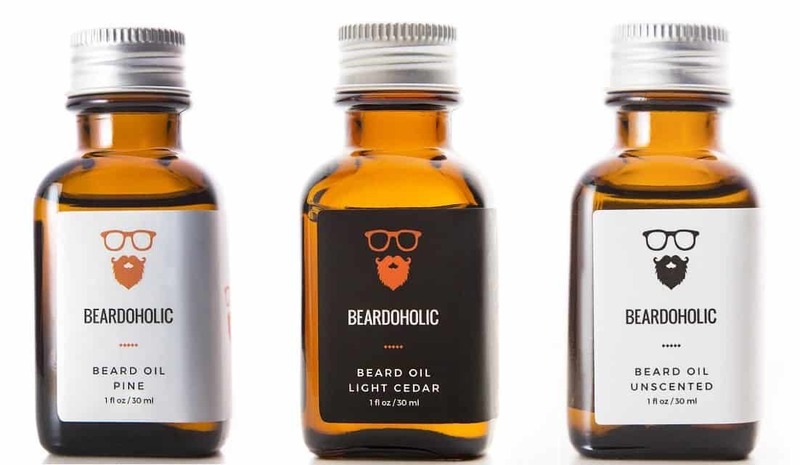 Now that the hair is dry, pamper yourself with a little beard oil. This product is all natural and designed to keep the skin under the beard moist so that even new hairs will not cause irritation as they grow. It is only natural for our skin cells to die over time. However, the buildup of dead skin cells on your scalp and face may cause dandruff. In a severe case, your skin may become so itchy, leading to great discomfort. When this occurs, the only solution is to exfoliate your skin. Exfoliating your skin at least twice a week using a facial scrub or a beard brush can help ward off dead skin cells, remove skin flakes and get rid of ingrown hairs. Eating the right foods is not only good for your health but also ideal for your skin. This includes the skin under your beard. Specific foods are known to have vital macronutrients that can help get rid of dry skin and prevent the buildup of dandruff. In essence, you should eat foods rich in Omega-3 fatty acids, amino acids, and Vitamins A, C, and E to deal with your flaking issues. If you are a fervent pogonophile, then you probably know that the health of your skin and your facial hair has to do with your testosterone levels. Apparently, people with high testosterone have thicker, healthier beards compared to their counterparts with low male hormones. Furthermore, their skins are suppler and smoother, devoid of dandruff. Besides eating the right foods, working out regularly can go a long way to boost your testosterone levels. Moreover, you do not even have to go to the gym to exercise. You may work out at home by investing in padded gymnastics tumbling mats. Whether you prefer simple yoga poses or vigorous exercises, an effective workout routine will not only help maintain your health but also keep beard dandruff away, albeit indirectly. The types of garments you wear can suffocate your skin and lead to the buildup of beard dandruff. For instance, hats and balaclavas are known to hold body heat, consequently creating a favorable environment for beard dandruff to thrive. Similarly, your beddings, including that pillowcase that you love so much may irritate the skin under your beard, subsequently causing dandruff. To avoid this situation, you are advised to wear loose-fitting clothes and moisture wicking hats to keep sweat away. Furthermore, you should consider using cotton or any other smooth bedding to avoid irritating your skin. After trying out everything and nothing seems to work for you, then consider visiting a professional dermatologist. The presence of beard dandruff that does not go away can be a sign of a more serious underlying skin condition. You may be having an abnormal skin condition that is causing dry skin under your beard. With this in mind, visiting a dermatologist will go a long way to help you diagnose the problem. The doctor will also be in a better position to prescribe appropriate medications to treat the condition. Then again, in case of any negative reaction to medication, you should inform your doctor as soon as possible. It’s really that simple! These three simple tips are excellent for dealing with dry skin under beard issues. The thing to remember is that the skin under your beard goes through many changes during the growth of the hair follicles. Moisturizing the skin with products made with all-natural ingredients will ensure you are not contributing to the cause of that irritation. Photos from: AllaSerebrina / depositphotos.com. Using beard moisturizers solved my problems with dry skin. Btw great pic! Yes, beard is a special facial hair.That is why there is beard oil and beard shampoos. Beards deserve a treat guys.Thank you Zack.